In the Museum of Contemporary Art Zagreb a group of young art students participated in the planning of a big museum heist. Sparked by the fantasy of the elaborated museum robbery the participants began an in-depth mapping of the museum space, the location of alarms and security cameras and the daily routines of the museum staff. Generating a heightened alertness to the mechanics of the institution as such, the Big Museum Heist workshop developed into discussions on the value sets of the modern art world and the power role of the museum, as well as notions on the impact of suspicious behavior. 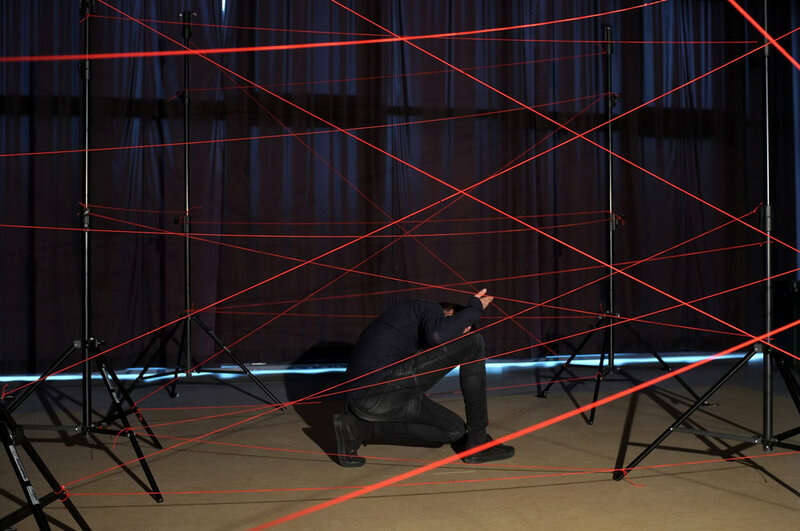 To finally exit the museum grounds, with the stolen art piece, a maze of infrared tripwires must be traversed without activating the fatal deafening alarm. Big Museum Heist is a collaboration with visual artist Soren Thilo Funder.